Dampney Company high performance coatings feature Thurmalox Heat-Resistant finishes for metal structures, refinery stacks, heat exchangers, piping, turbines, process vessels and tanks. These coating products feature a heat-activated catalyst for application on high-temperature surfaces up to 1200°F. Dampney serves the refining, petro chemical, chemical processing, oil & gas, pipeline, power, OEM, pulp & paper, and materials processing markets. 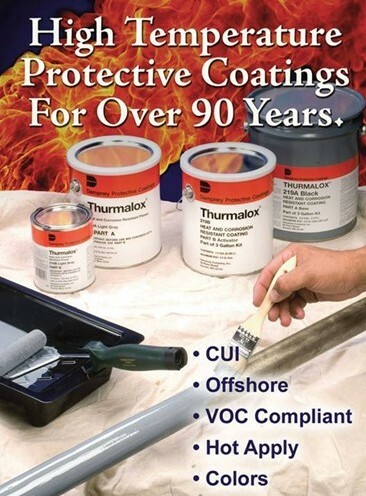 THURMALOX High Temperature Industrial Protective Coatings – for metal structures subjected to high temperatures and corrosive environments. CLEMCO INTERNAL PIPE CLEANING AND COATING EQUIPMENT. 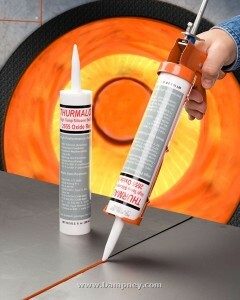 Air Dry Series VOC Compliant Silicone Coatings Heat Resistant to 500°F. 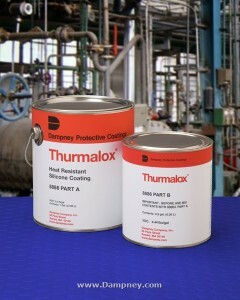 form for the above Thurmalox coatings. THURMALOX High Temperature Industrial Protective Coatings – for metal structures subjected to high temperatures and corrosive environments. EPODUR 100% Solid Novolac Systems – for secondary containment, flooring and concrete restorations. APEXIOR Protective Coatings – for water-side corrosion prevention of steam generating equipment and auxiliaries. DYMACRYL Water Repellent Masonry Stains – for concrete and masonry surfaces. ELASTOID High Build Elastomeric Rubber Coatings. ENDCOR Corrosion Resistant Coatings – for general industrial maintenance. EPODUR High Solids Epoxy Coatings – for long-term, heavy duty protection in aggressive chemical, industrial, and marine environments. Selective Black, silicone-based paint which collects heat more efficiently than ordinary black paint and resists out gassing to 400F. Thurmalox 250 Solar Selective Coating is designed to selectively absorb wavelengths with the greatest heat content when used on the metal surfaces of collector panels having glazed covers. It collects heat energy more efficiently than ordinary black paints which emit a significant amount of the energy they absorb. 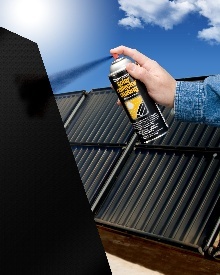 This solar coating allows manufacturers of solar collector panels to achieve selectivity with the economy and ease of application of a paint. The coating also resists out gassing, a major cause of internal fogging of collector covers up to 400F. The coating is designed for spray application and can be applied directly to clean metal surfaces. It dries for handling in about 15 minutes. 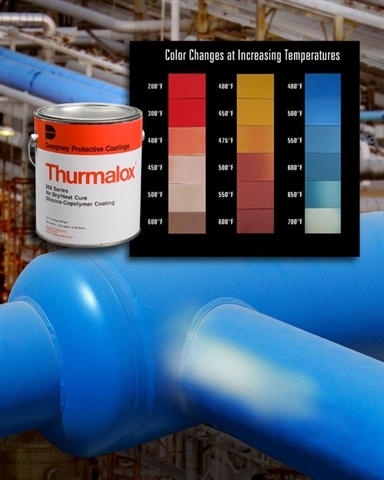 Thurmalox® 2655 High Temperature Silicone Caulk is a one-part, room temperature vulcanizing (RTV) silicone adhesive/sealant for high-temperature industrial applications. It cures to a tough, elastomeric rubber upon exposure to atmospheric moisture and retains permanent flexibility from -80ºF to 550ºF (-62ºC-288ºC) and will withstand intermittent exposures to 650ºF (343ºC).